This blog has been updated on 30th May 2018. AWS Certification is divided into three levels: Foundation Level, Associate Level, and Professional Level. The Associate level is further divided into three tracks. Solutions Architect track is for the aspiring Architects. SysOps Engineer track is for the engineers who are responsible for the uptime of the website. Developer track is targeting the audience who is eager to use AWS services from APIs. Check out our video to understand the hierarchy of certifications by AWS. 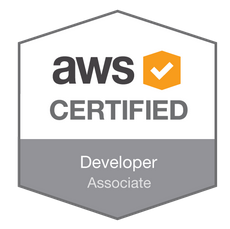 I cleared the AWS Certified Developer Certification Exam and am sharing my experience with the certification in this blog post. We will talk about the AWS certified Sysops in a later blog post. The AWS Certified Developer Certification at Associate Level is now available through PSI examination centers. The cost of the certification is $150. The certification has number of questions and results are not provided immediately. Below is the summary of the difference between two versions of AWS Certified Developer exams. Retake policy Retake after a month. Up to three attempts in one year. Have to pay each time. Retake after a month. Up to three attempts in one year. Have to pay each time. 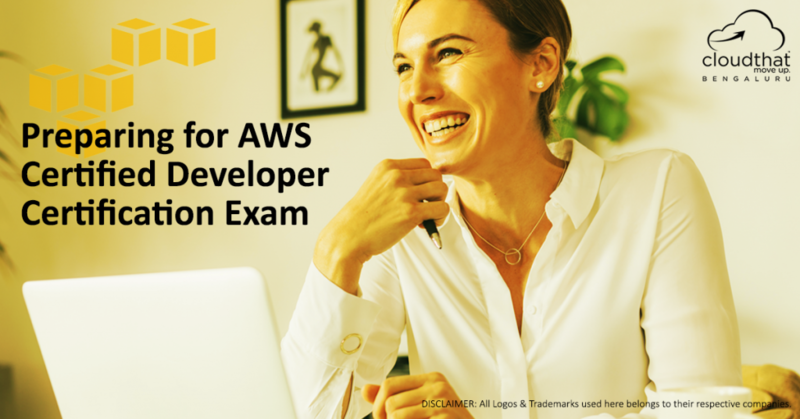 As the AWS Developer Certification exam is designed for developers who have experience coding solutions that run on AWS infrastructure using AWS services, it has 40% weight for “Designing and Developing” and 30% for “Deployment and Security”. This is quite different from the AWS Certified Solutions Architect exam which had more emphasis on designing applications on AWS and thus 60% of the questions are from “Designing highly available, cost-efficient, fault tolerant, scalable systems” section. Below are the high-level sections provided by AWS and my experience with these sections. Various limitations of the Services. For example in S3, how many buckets can you create in an account, in Dynamo how many indices can you create, size limitations on hash-partitions, etc. Also, there will be questions on the most common APIs for these services. For example, some of the most popular S3 APIs are GetObject, ListBucket, PutObject, etc. and for SQS it is CreateQueue, SendMessage, DeleteMessage, etc. One will have to know all these basic APIs for all the AWS services mentioned above. This is quite a big task, as S3 itself has hundreds of APIs. I would recommend going through all the APIs, but if you are short of time, go through the most common ones. (I might have a post later about most common APIs for each of the service above, so keep checking back or like us on Facebook/Twitter to get latest blog post updates). There can be questions on various SDKs available for AWS too. For example, AWS officially supports the Java and PHP SDK along with others and there can be questions on these SDKs. Hands-on experience with coding using at least one of these SDKs is also a must. This section will have questions on various ways infrastructure on AWS can be secured. There could be multiple ways infrastructure can be secured and knowledge of these methods is necessary. For example, VPC public & private subnet, EC2 Security Groups, S3 bucket policies and ACLs, IAM user & groups, etc. Deployment part of this section has more developer-centric deployment questions. For example, given a use case, will it be better to use pre-configured AMI or CloudFormation for deployment or integration of deployment management tools like Chef with AWS services, and so on. This section has questions on the most efficient ways to debug applications deployed on AWS. Questions range from some of the most common mistakes like launching public facing servers in private subnet, improper ACLs for S3 objects, improper IAM policies, etc. 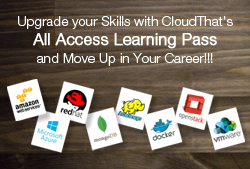 Overall the exam is comprehensive and hands-on experience programming with AWS is a must. I recommend writing at least one sample application in any language of your choice that uses services like S3, DynamoDB, RDS, SQS, EC2, etc. There are quite a few white-papers on AWS website and those are good sources of reference too. If you need to get ramped up quickly for the certification, you can consider our AWS Developer Certification BootCamp course. If you would like to get further information about this course please fill out this form and we will get back to you within 24 hours. I recently also added sample questions for AWS Developer – Associate Certification. Try it out here. To register, follow this link. You will need to create an account before you register for the test. You get this below badge of honor when you get certified, which can be used on your business card, signature, etc. Good luck!! If you have any questions, please mention them below and I will try to answer them. Also, if you like the article please share it with others. 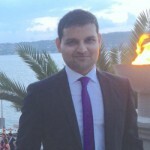 Hi, Bhavesh. Congratulations for clearing the AWS Developer associate exam. I wanted to know the scope of this certification. How good of an opportunity can you get based aon this certification ? Also are there plenty of openings for this technology in India ? Will this certification help me get a good opportunity in the US ?